Our team of specialists has decades of experience in B2B marketing, bringing new technology products to market, aiding companies with breakthrough marketing ideas and solid execution. Founded in 2012, The Lean Marketer works with small- to mid-sized companies, and business units of larger companies, with a customized approach to each. 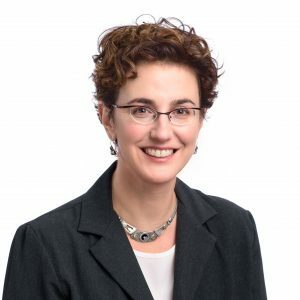 Our CEO Rebecca Herson has led the marketing at three high-growth “Deloitte Fast 50″ companies and three Gartner “Cool Vendors.” During Rebecca’s tenure as Vice President of Marketing at the NASDAQ-traded Commtouch, the company’s customer base more than quadrupled and revenue more than quintupled. As VP Marketing at the startup Anodot, she generated dozens of customers from marketing activities, which included over 100 pieces of media coverage, including in the Wall Street Journal. A seasoned executive, Rebecca has been involved in marketing-aspects of both public offerings and M&A activity. Rebecca is a frequent speaker at events such as the MC Forum B2B Insights conference and Content Israel and startup accelerators such as TheHive@Gvahim. She is part of an elite group of experts judging executive summaries for BizTEC, Israel’s national entrepreneurship competition, where she also lectures on startup marketing as part of BizTEC’s “BizSchool” education component. She serves as a marketing mentor to various accelerators, including Microsoft’s Viable startup accelerator in Tel Aviv. Her work was profiled in a case study by MarketingSherpa, one of the leading research firms specializing in tracking what works in all aspects of marketing.